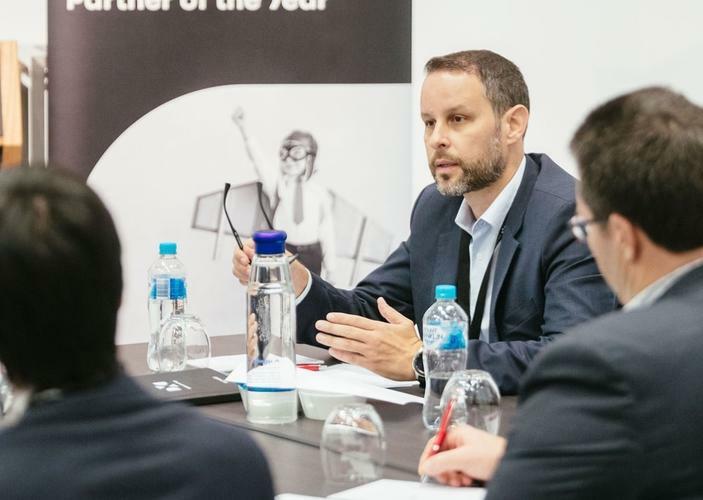 Oracle specialist partner DXC Red Rock has played a key role in helping its customers such as Blackmores, Landcom and ClearView Wealth in adopting and evolving their cloud services strategy, as well as tackling some major hurdles. DXC Red Rock practice director Richard James said that in the past two years the business has seen cloud services grow 419 per cent. The company currently has 400 customers across A/NZ, of which 220 are managed services customers. James explained that DXC Red Rock has three main avenues to market through enterprise applications, digital technologies and analytics, which is the fastest growing part of the business. “What we’re finding is that 65 per cent of our customers are moving to some sort of cloud adoption,” James said. “The fastest adoption we’re seeing is in enterprise performance management (EPM); human capital management (HCM) and finance. "That’s probably a reflection of the maturity of Oracle products in those areas, and we’re certainly enabling that for our customers today." DXC Red Rock customer Landcom, which is part of the NSW Government land and development property corporation, adopts a cloud-first approach. The organisation maintains about 160 people with 40 projects that last about 20 years. It Initially engaged with M-Power Solutions, which was acquired by DXC Red Rock, to do its planning, budgeting and service implementation using Oracle’s Planning and Budgeting Cloud solution (PBCS). Landcom finance transformation project lead Genevieve Hutcheson explained the organisation turned to cloud to replace its end-of-life systems and processes. “They were bespoke systems that took 17 years to develop and were so convoluted that people didn’t know how to work them,” Hutcheson said. But it wasn’t a totally glorious start to adopting cloud services. Hutcheson said the organisation learnt it had to understand its processes, how to streamline them and to stagger the implementation. “We had a false start before we got to Oracle,” she said. “We had a very old traditional finance function. In the process, we had to make sure that they could absorb change." Hutcheson said the forecasting tool was a major benefit in adopting the new system, and from there it quickly implemented the ERP, but left certain processes manual to leverage the benefits of the system. “We’ve been able to put all of our project work force and financial reporting into PBCS, which means we’ve got one spot to do all of our planning and reporting,” she said. “We completely changed our underlying ERP structure, so that we simplified and streamlined to get the benefits out of the tool. It was an enormous change for our business and we had to bring them along the journey to understand the design, so they can get the benefits of the reporting. Going forward, Hutcheson said it will revisit its procurement process, and then look at adopting cloud services within its land management business which caters to lot subdivisions, sales or leases, customer management and final settlement processes.